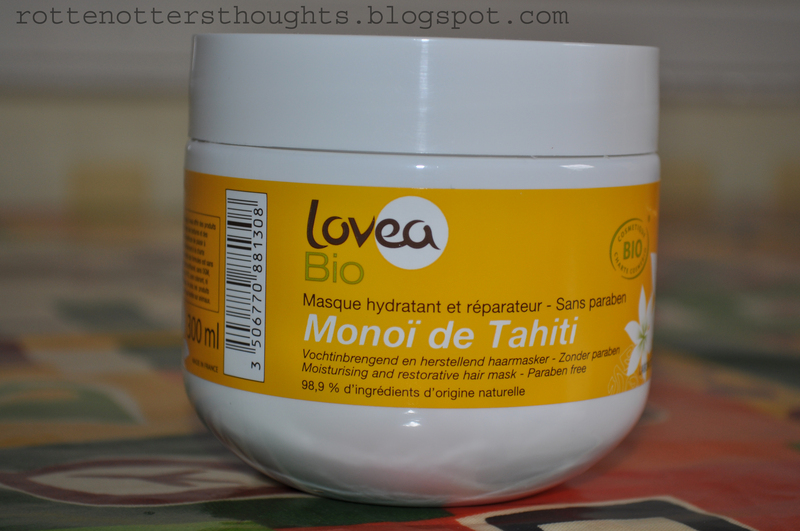 Keeping with the hair theme I have a review of Lovea’s which is available to buy here from mypure.co.uk. I’ve never used a hair mask before especially one that you leave on for 30mins. I’ve only used deep conditioners so therefore haven’t really got anything to compare it to. Like all other Lovea products I’ve tried it smells lovely but I still can’t decide what of! Packaging is the usual white plastic with yellow label, I really like this as you immediately know which brand it is. The only thing is that there are no instructions on the back so I had to look on the mypure website for the information. As you can see from the photo’s above the mask is super thick and only a little bit is needed to cover my long hair. The website suggests using it after your usual shampoo and conditioner but I decided to use it instead of my conditioner. I slathered on the mask, avoiding my roots, and donned a shower cap to avoid messiness, waited 30 minutes then rinsed it off. There is one thing I don’t like about it, and to me is quite a big disadvantage to the product, despite trying to wash it out I was always left with product in my hair. Once it was dry my hair felt soft but that it was still covered in product and was actually visible in certain places where the hair clumped together. I’m positive that each time I used it I washed it out well enough so I’m thinking maybe it just doesn’t work with my hair. If it had worked well I would definitely repurchase as I think £7.99 is a really good price but sadly it didn’t. Have you tried this? Any other hair masks you recommend? Disclaimer: This was sent to me for free as part of the mypure bloggers panel. The texture looks great! And I haven't heard about this brand before. Thanks!